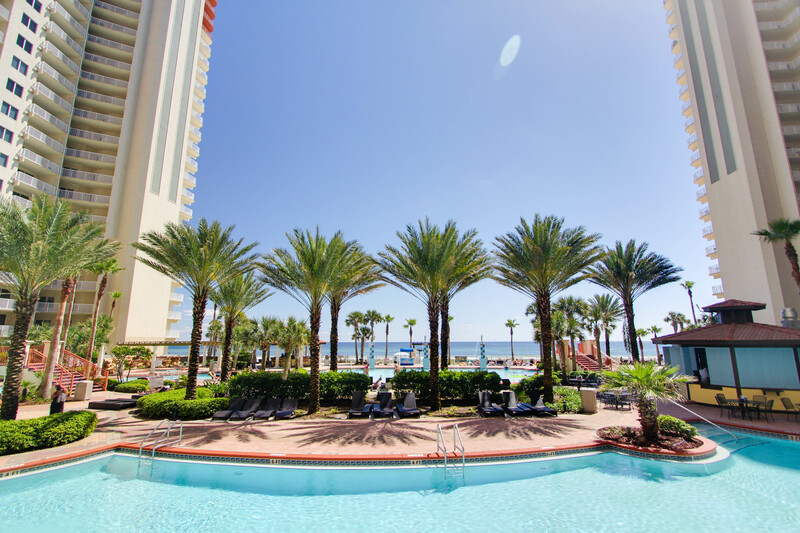 Make your vacation perfect at the Shores of Panama Resort! 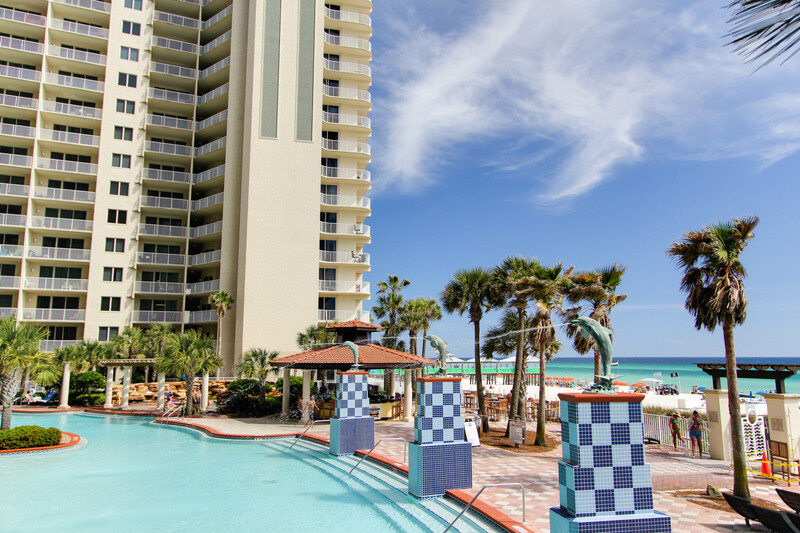 This 2 bedroom, 2 and ½ bathroom condo is located on the 20th floor showcasing the best panoramic view on Panama City Beach! This beautifully styled interior features a tropical décor with tasteful accents and comfortable high end furnishings. The full sized kitchen includes updated appliances, granite counter tops and plenty of cookware for a comfortable home away from home. Your private balcony features a breathtaking view of sparkling beaches while overlooking the lagoon style pool and courtyard. 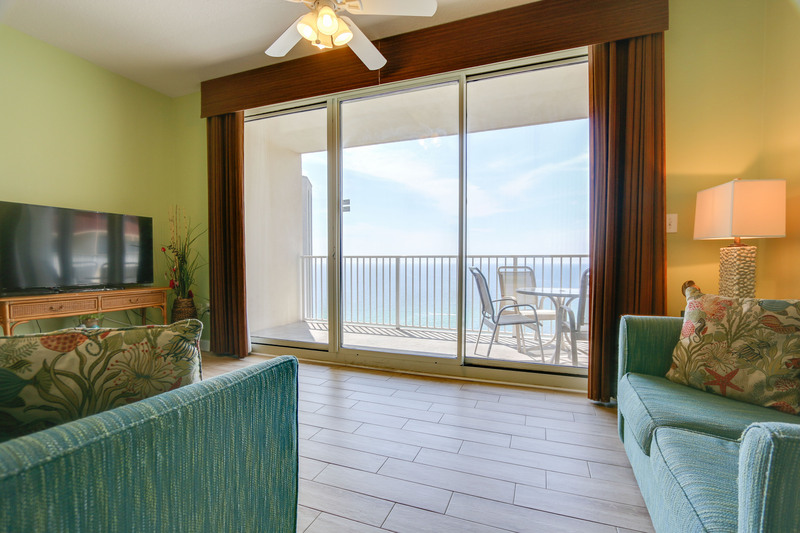 This charming beachfront unit will accommodate 8 guests. 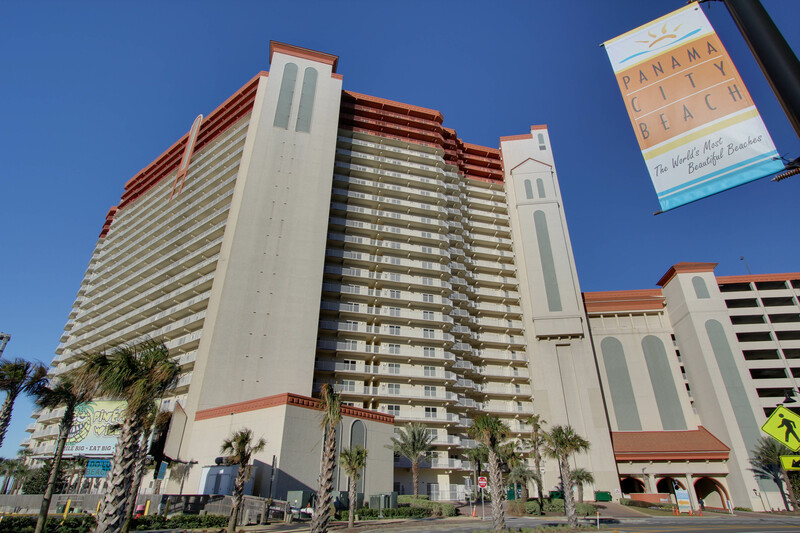 This condo offers a reserved parking space conveniently located on the 10TH floor of the Shores of Panama Parking garage!! Thank you for sharing your experience, we hop you give us a call when you are planning your return to the Gulf! Our overall experience was just OK. The unit was nice however the furniture and the beds need attention. The amenities were as described- however, plan your elevator rides to use only on the low times. The garage is tight- if you have a large vehicle (Tahoe) you must be careful- it is two way as well. The property was NOT clean when we arrived however the head of housekeeping made it correct- thank you Javon. Bring with you a sponge, liquid dish soap and better cooking utensils as the cleaning items do not exist and the the service-ware is in need of update! The communication up to and when we arrived was fantastic. 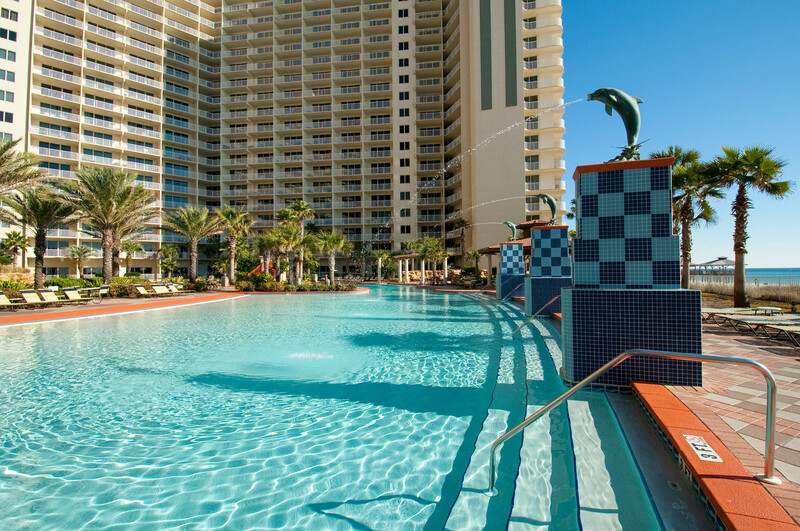 ***NOW THE BAD STUFF*** Although it states they do not rent to under 25yrs- this is untrue... at 2am there were young adults howling off the balconies, the loud obnoxious music (at the pool (DJ) and in units) and not desecrate conversations did not allow any relaxation. Its great if you are there to party- no so much for quiet family time. We loved the location of the condo but parking is a NIGHTMARE! Says you have two parking spots but really you only have one reserved spot and ours already had someone parked in it. The wait to get out of the parking garage is long so leave early. Elevators are another nightmare. Be prepared to wait 15-45 minutes just to get on the elevator with tons of other people. As far as the unit the view is amazing but for 8 guests seating was very limited. we could not all sit on the balcony or in the living room together. The furniture needs updating. It is very worn and sounds like it will break at any minute. Also we did not have any wash clothes but plenty of towels and hand towels. The condo and customer service is great. The only negative to this condo is the elevators. They are very slow and often times you have to wait several times to get on because they are full. Thank you for taking the time to share your review, we are so thrilled your enjoyed you stay at the Shores of Panama Resort! Unfortunately, during the busy season these elevators do tend to run slower. 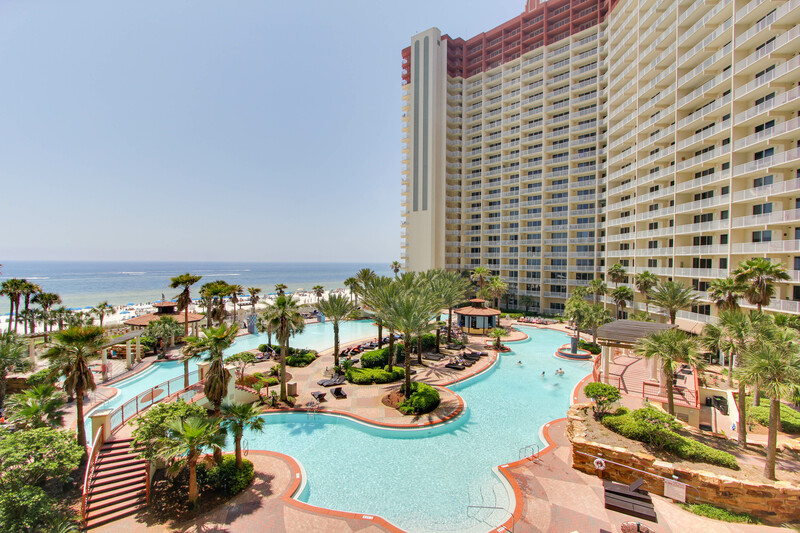 This is one of the most popular resorts on the Gulf, so it is in high demand during the summer months. Please give our office a call when you are ready to plan your next visit! We would love to offer you a special discount for returning as our guest. Book that condo was a great leasing company to deal with, Shores of Panama however was an awful place to stay and my family and I will not be back. Don't get me wrong the condo we stayed in was beautiful and very up to date, the view was wonderful the problem was that it took 1 hour to access the elevator with our luggage, after looking for a un-reserved parking space in the worst parking garage I've ever been in. Over my 5 day stay without exaggeration we waiting approximately 10 hours of our vacation for the Elevators. There are only 6 Elevators for a resort that houses upwards to 12, 000 people. There was a dumpster fire and we were evacuated, my sis in laws car almost got towed because she parked in a "reserved" spot that wasn't marked. The resort makes you wear these awful wrist bands that after 2 days of water and sun exposure they fall apart. I was actually kicked out of the pool area for not wearing mine on day 4 of my stay. 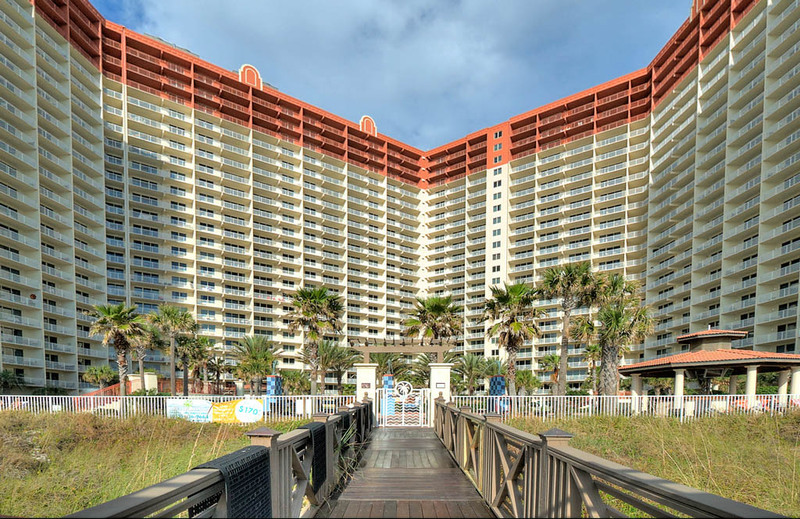 We will use book that condo and vrbo again, they are both great companies but do not, I repeat do not stay at shores of panama during prime season. Thank you so much for your kind word and the time you have taken to write this review. We are so glad you enjoy your condo and the view from the 20th floor! However, I am very disappointed to read that the resort was not what you expected during your stay in Panama City Beach. 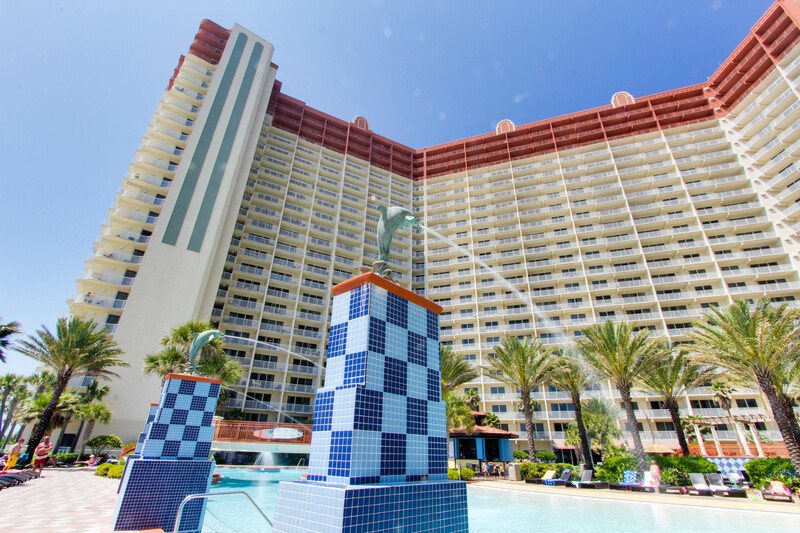 We would love to help plan your next vacation and welcome you back with a return guest discount. Please call our office when you are ready to book, see you again soon Zachary! Pretty condominium, view was great. We won't stay again because of the loud partying at night on the other balconies-at times until 0100 or later. Very disruptive partying at times, was surprised that security could not control that because they were very active at night walking around the pool etc. My children watched people smoke marijuana on their balconies. The elevator wait is very long. We were told when we pulled up to check-in to go to a 15 minute parking spot and there was no spot available, that was frustrating because we had driven so long and were tired. As long as you plan on staying at the condominium and not leaving frequently-parking was okay but if you're not given a reserved parking number then you have to be careful where you park. The linens on bed were not comfortable, mattress in master bedroom was not comfortable and the appearance of living room furniture was nice but the couch arm is broken and just uncomfortable. Quick response and friendliness from the ladies at "book that condo" when I called them about washing machine and very nice maintenance man. We enjoyed eating at Pineapple Willies and Sharky's, nice having Walmart so close. 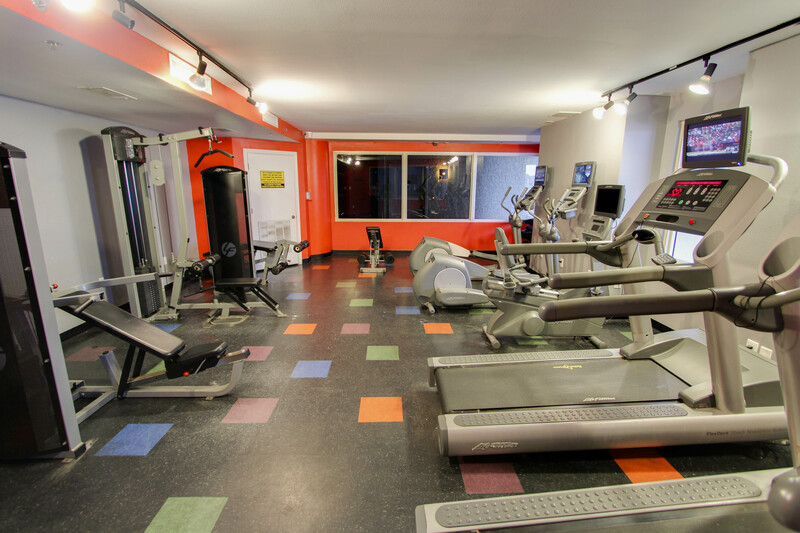 Good condo for college age and if no kids traveling with you, but not for our family. Thank you for taking the time to share your experience at the Shores of Panama Resort. How wonderful that you enjoyed the convenience of the condos location! I am troubled by your observations regarding the atmosphere of the Resort and I understand your disappointment and the inconvenience this must have caused. Book That Condo is committed to providing the best customer care and a well-maintained comfortable home during your vacation. Please call our office when you plan your return to the world's most beautiful beaches. 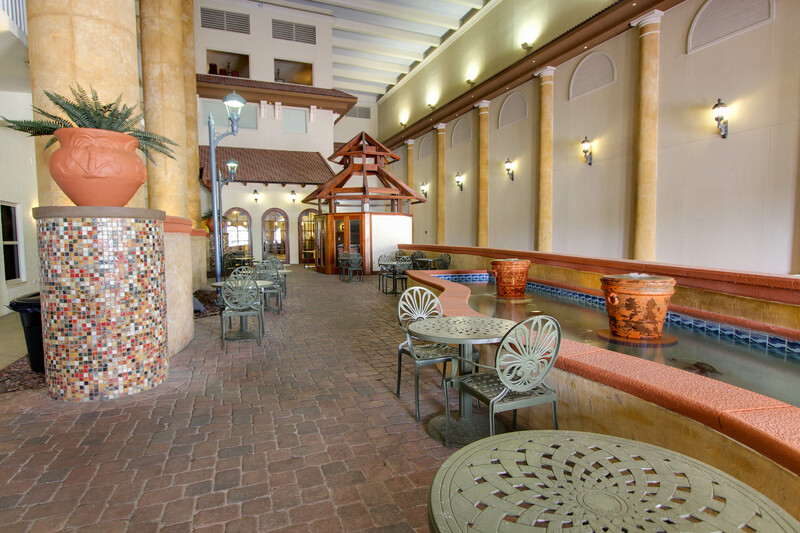 It would be our pleasure to welcome you back with a special returning guest discount. The condo was lovely inside, although it needs a little bit of tweaking here and there. Loved the view and the balcony opening from both the living area and the master bedroom. The Book That Condo folks were great to work with!! 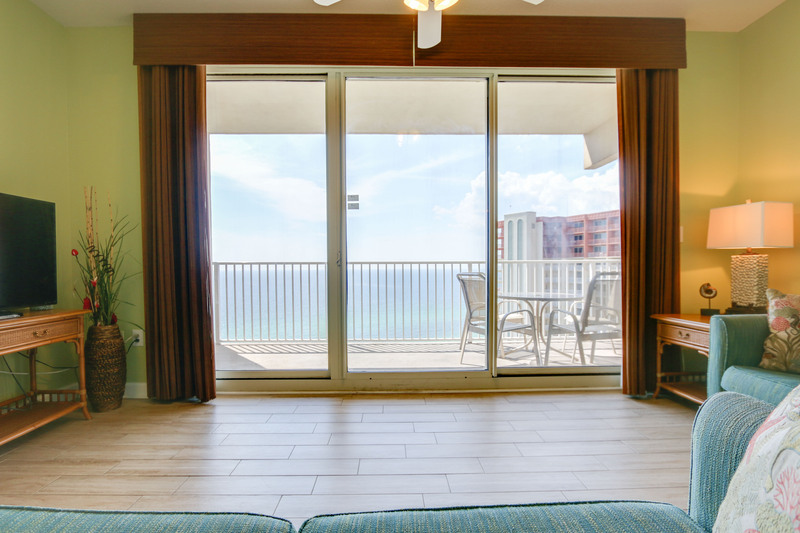 We had a very nice trip and the stay was excellent the condo is very clean with an awesome view would recommend this unit and will be returning in the future. Overall we had a great vacation. the pool was never clean it was dirty the whole week. Unit was really nice had great views from balcony. The condo as a whole could be better, elevators sucked were slow and not reliable/safe. A lot of partying college kids so was very noisy and pool was overcrowded and gross. The whole buildings air conditioners went out in middle of night woke up to 81 degree room so that sucked but overall was good for the price. Is centrally located also. We were simply looking for a break from ice, snow, and below zero temperatures. We found that here. Our accommodations were very nice, and its location, right on beach, was lovely. P.C. has a beautiful beach, but we are used to more upscale, less honky tonk surroundings. If we were to return to Florida, we would definitely go farther south. It was a good times that we spent there and the view in front of the shore was grate. One thing I'd like to say about the service at the Condo, the internet wasn't working and I told the front desk 4 times asking them to send somebody to fix it but it didn't been fixed, even I told about it through the app and it was the same. 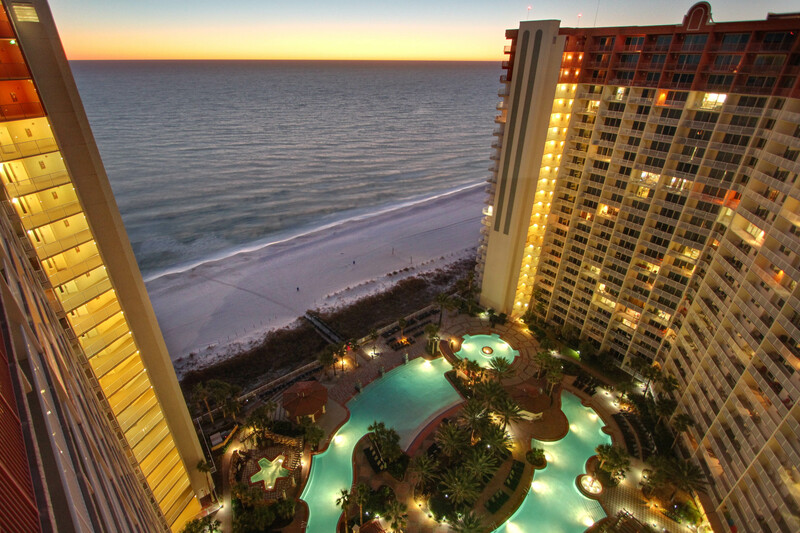 Beautiful condo and view of the beach!! Our stay at our condo was so nice and clean. We love the view and the rooms were spacious. If you stay here be prepared to wait for an elevator. Overall we had a great time. Book that condo was amazing with setting everything up. They also were very understanding and helped me through some issues with reservations. I will definitely use them again. You can only enjoy your stay here if you have tons of patience! 45 min to get an elevator most of the time is ridiculous! I will not book at Shores of Panama in the future. Nice facility but you can never get up or down when you need to. Comfortable and Pleasant with a great view. Very easy check in/check out process, beautiful condo in a great location! We loved this condo! It was very clean and nice. It had a great view of the beach! It was listed as a two bedroom condo but had an extra small room with bunkbeds that was perfect for our son. We booked this condo through "Book that condo" and they were really great to work with and really helped us to make our stay possible! The only negative to this condo was the elevators at the property. They wait for an elevator on the weekend was very long and frustrating! People staying at the property were very upset about this issue. The wait was not as bad during the week. Beautiful condo with awesome view! The condo was very nice, perfectly clean.The balconey was nice and the view was gorgeous. The people from book that condo were great. The condo was minimally stocked with cooking utensils, however after a phone call to book that condo, supplies were brought the next day. There was no wi-fi available in unit 2020,we were very disappointed about that. Shores of Panama elevators are very outdated and slow. It took sometimes 30 minutes to get get to ground floor. Washer and dryer are available, but cannot run both at the same time. 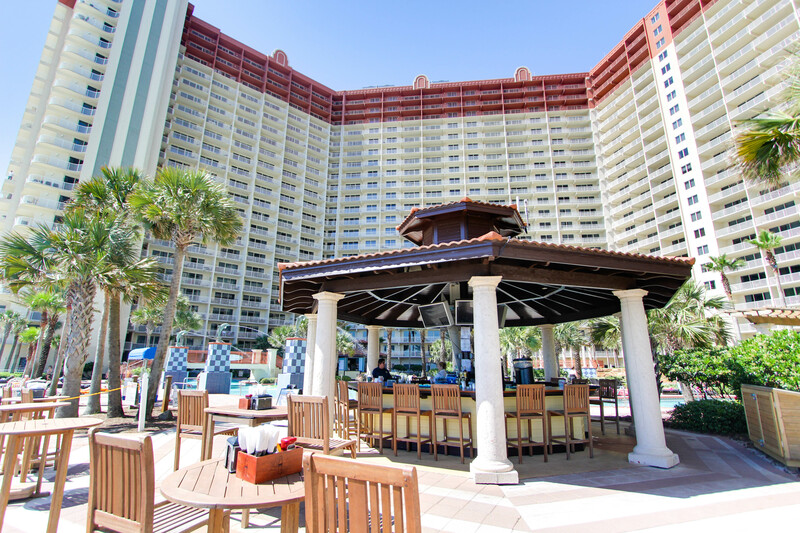 Aquatic adventures is the beach service that has over 100 double lounge chairs with umbrellas to rent on the beachfront. However, they are still in 'gouge you mode' because they want $40 the first day and $25/day after that to rent a lounger. We were there a week, and only about 15 to 20 chairs were rented daily. They are not too smart because they could rent them all if they were not so overpriced and make alot more money if they weren't so greedy. We figured $15/day would have made them alot more profit. Thankfully, Walmart had nice little beach chairs for $10 apiece and they are located 1 block away. Overall stay was great the rooms was very nice and clean. The only thing we didn't like, was we had to pay to use the hotel amenities (including the pool).